Edmund Chung first began his violin studies at the age of four in Hong Kong. He began his studies with Shirley Givens at The Juilliard School in the pre-college division when he was 7 years old. At the age of 18, he was the grand prize winner of CMC in 2008. He completed his Bachelor’s (’15) and Master’s Degree (’17) on scholarship at the University of British Columbia, where he studied with Professor David Gillham. He then spent a year in Bergen, Norway, studying with David Stewart (‘17-’18), the Concertmaster of the Bergen Philharmonic Orchestra. Edmund attended music festivals such as the Heifetz Institute, Orford Music, Greenwood, and Le Domaine Forget. 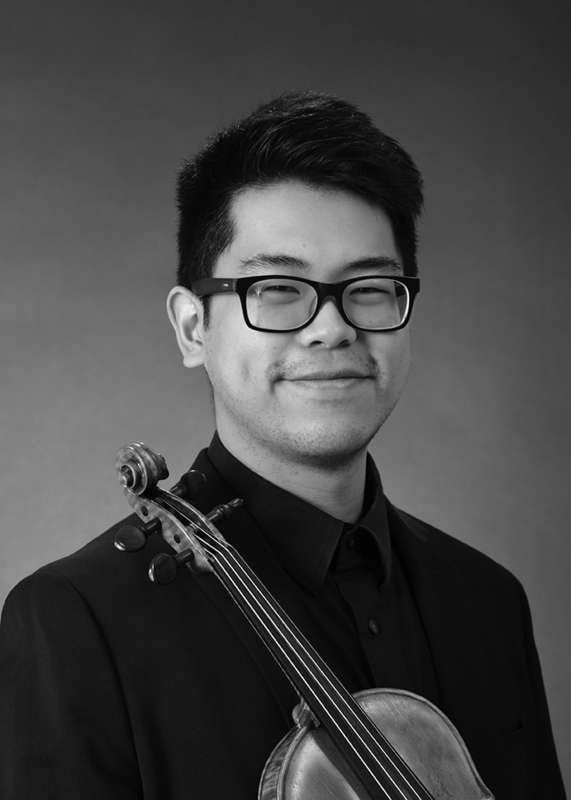 He was also a fellow at Tanglewood Music Center for two summers (‘17, ‘18), where he served as Concertmaster and Assistant Concertmaster. Before coming to Calgary to join the Calgary Philharmonic Orchestra, Edmund was a regular substitute for the Bergen Philharmonic Orchestra and the Vancouver Symphony Orchestra.